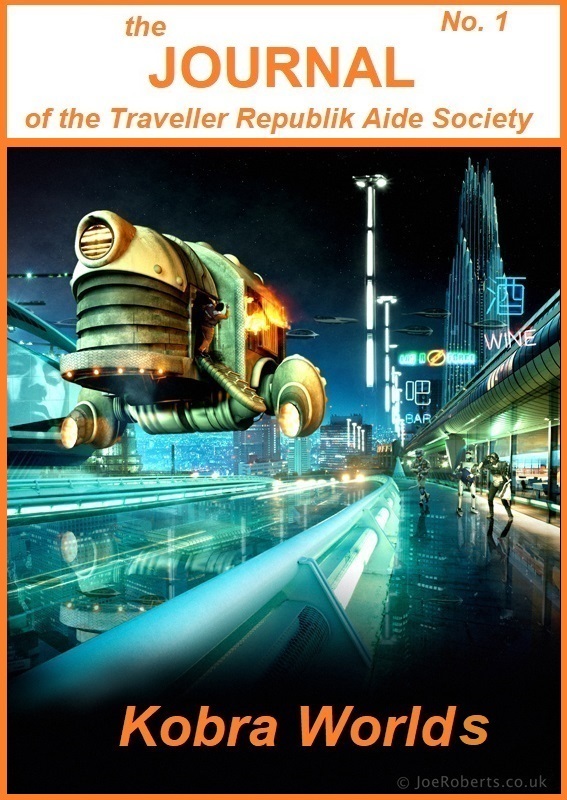 Introducing my very first Journal of the Traveller Aide Society (Kobra Worlds). 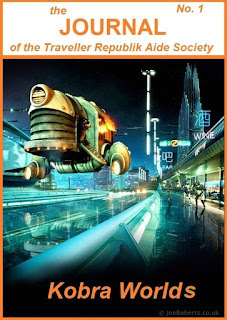 This mini-magazine is done in the spirit of the old Traveller JTAS from 40 years ago. This is my very first work in a long time and much of it is ORIGINAL CONTENT. However, I have grabbed, stolen, and snagged many cool new interesting technology for this Journal from various other sources (too many to enumerate). Also included is original alien art work and ships. The next JTAS will be coming out shortly, so enjoy! Please click on this LINK to go to the page where my JTAS-K is being hosted and thanks!